Hi! 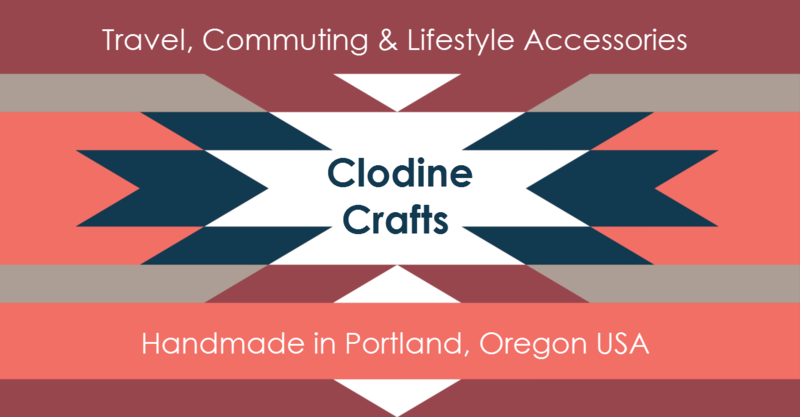 I'm Clodine M. of Clodine Crafts in Portland, Oregon. I design travel, commuting and lifestyle accessories for men and women to wear, and to adorn + protect their loyal bikes, boots, devices, drinkware, and more! Questions? Just contact me. Custom and wholesale orders welcome. ​Visit Clodine Crafts in an upcoming fair! Check out Events in the @ClodineCrafts Facebook page. Like and Follow Clodine Crafts on both FB and Instagram for all announcements, events, Q&A, behind-the-scenes photos, and more. Thanks! (C) Clodine Crafts. All Rights Reserved.